Location: options which can be booked by the guests without feeling a pinch in the pocket. it is located in the Salt Lake Sector 1 in Kolkata. All rooms are spacious and have been painted in monochromatic hues. The rooms have been decorated with brightly coloured cushions and curtains. The hotel also provides a number of facilities for a comfortable stay of their guests. all rooms have been provided with leather couches and a number of wooden elements. The additional facilities provided by the hotel are free Wi-Fi, card payment in all forms, laundry provisions, and CCTV cameras. The front desk service is located close to the entrance and is managed by hospitable staff. 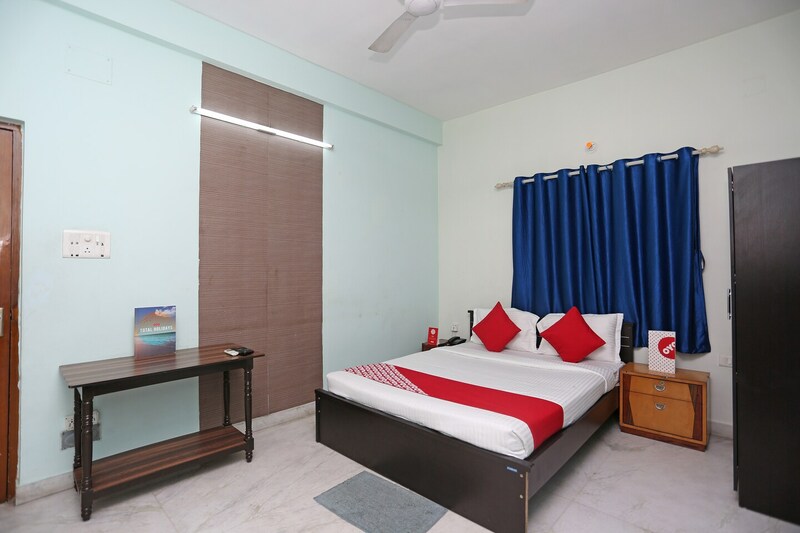 The hotel is surrounded by a number of utilities like Central Park Station Metro Station, Bangur Bus Stop, One Step Ahead, Made In Oven, AMP Vaisaakkhi Mall, and Luvac Business P. Ltd.